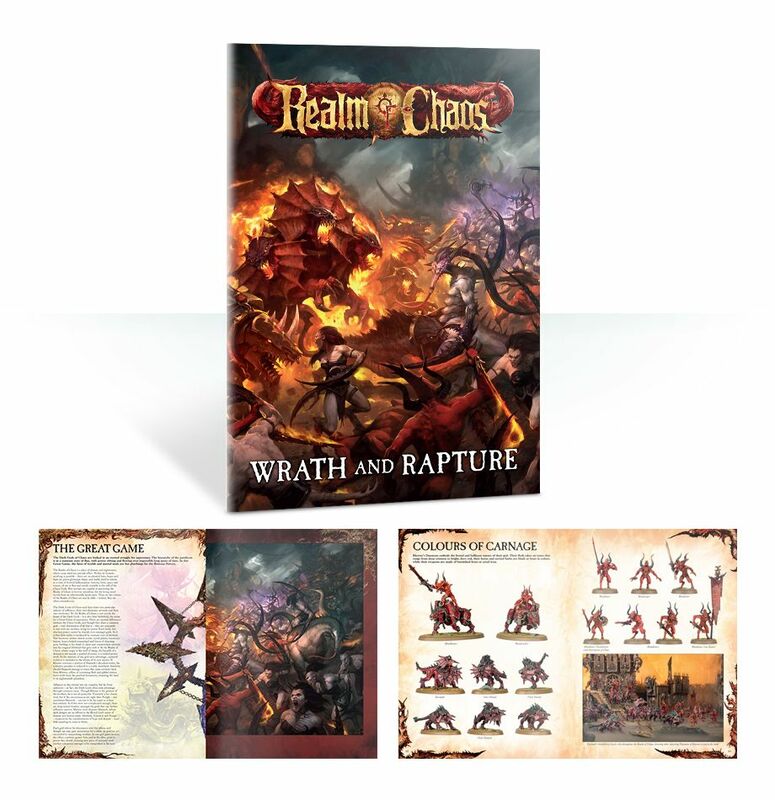 Wrath and Rapture has rules for both 40k and AoS for all the models inside. It’s like GW took two Start Collecting Boxes and mashed them together – AND it’s got a bunch of new models to boot. On the Khorne Side, you’ll get new sculpts of Flesh Hounds and a brand new plastic Karanak, The Hound of Khorne. 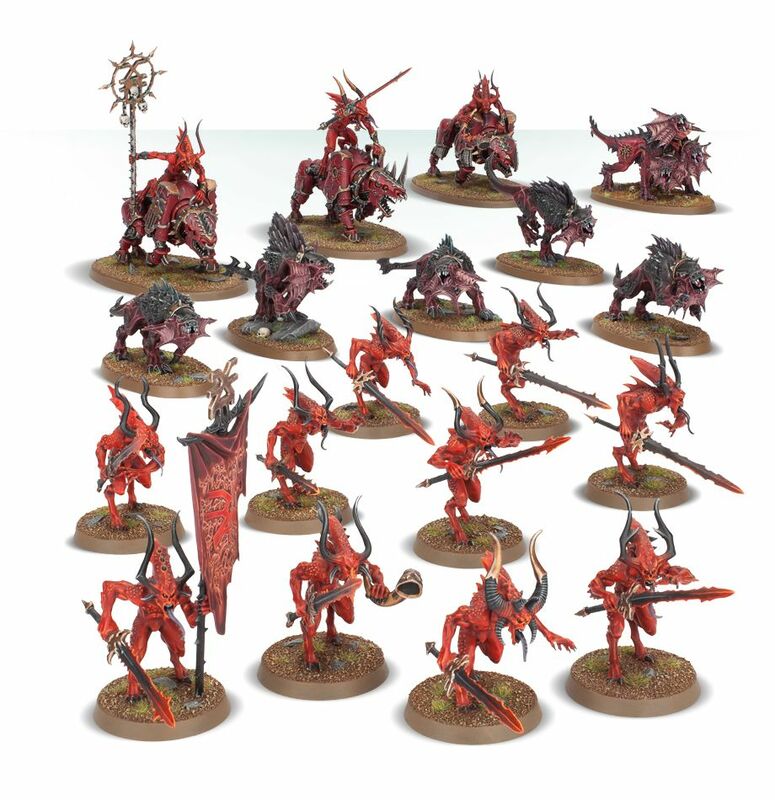 You’ll also get a good core of Bloodletters and the heavy hitting Bloodcrushers as well. If you need a good launching point for a Khorne Daemons army, this is it! 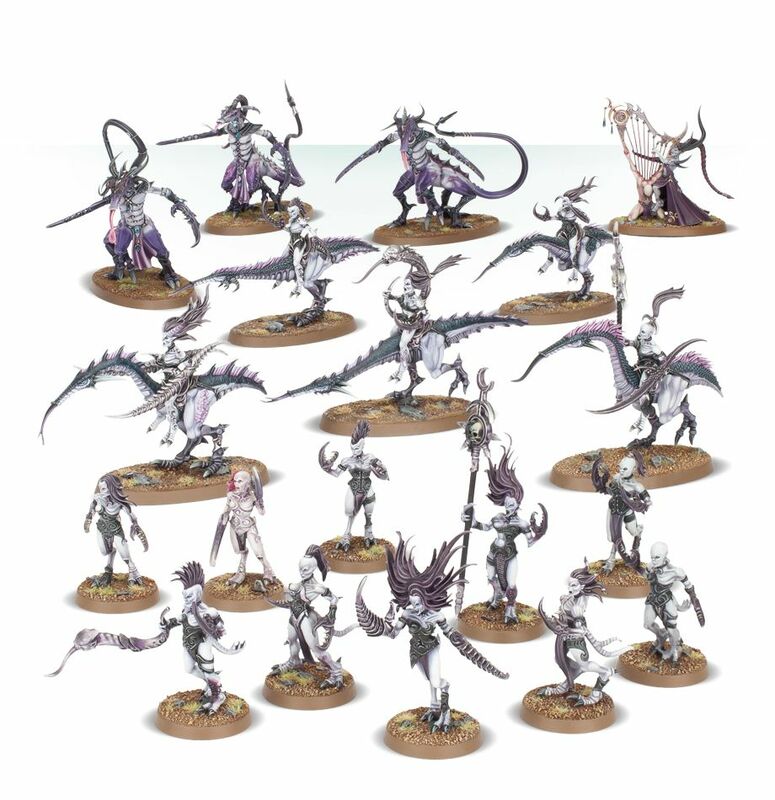 The Slaanesh half of the box has the new Infernal Enrapturess and the new plastic Fiends of Slaanesh. These new models are sure to be a big hit for fans of the Dark Prince. Along with rules for both systems, this box set also contains a booklet that details all the information about this great rivalry. You’ll have a better understanding of why these two forces hate each other and there are lots of scenarios for you to play out that are also included in the rules. 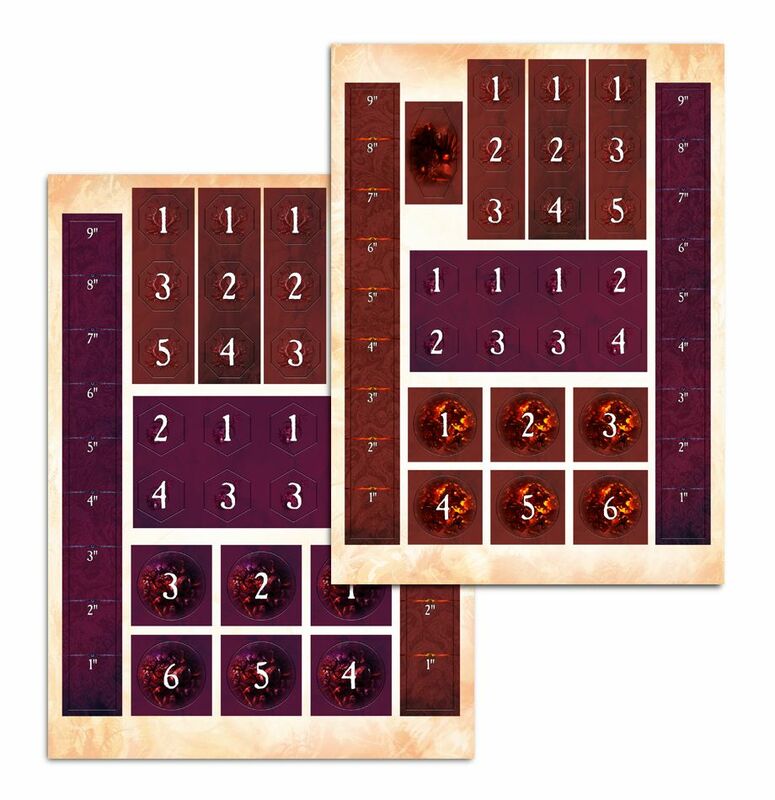 Wrath and Rapture works great if you want to split the box with a friend as you’ll each get a starting force. However, this is one boxed set that you might want to consider keeping all for yourself. 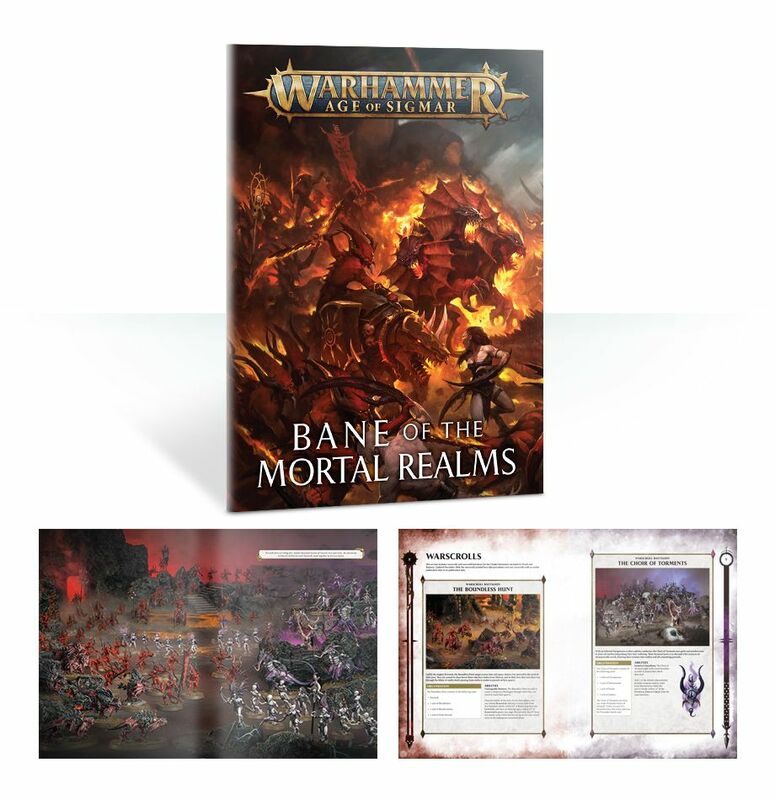 Because the models can be used in either system AND they can also ally with each other in either system, you end up with a total of 6 different armies to play – that’s the best value box you’ll find to get started in any other GW game! 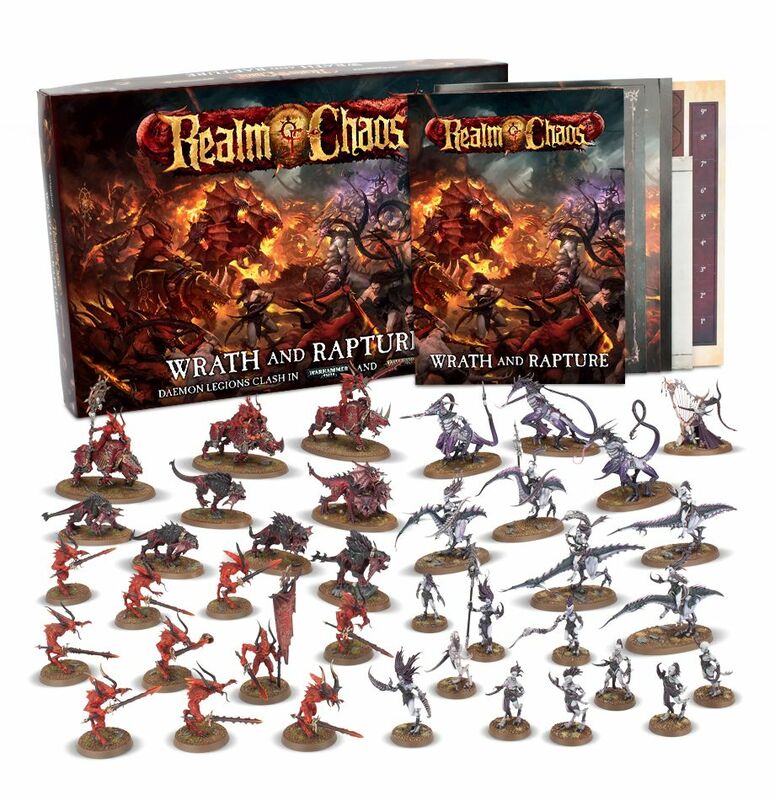 Wrath and Rapture – sow the seeds of Chaos with a Six Daemon Box!